We are celebrating Toyah’s 40 years of music in her 60th year. Do you pogo at gigs to the early punk classics from Sheep Farming In Barnet? Do you rock out to the 1980s B-Sides, know all the lyrics to the Sunday All Over The World album or have every version of Danced on your iPhone? Whether you play them on vinyl, cassette, CD or digitally we all have our favorites. With forty years in music there is over 20 albums to choose songs from, not to mention tracks recorded exclusively for EPs, B-sides, or albums made with the side-projects The Humans, SAOTW and Kiss Of Reality. We are asking you to vote for your Ultimate Toyah Top 10 songs in a new poll open from 1 April – 6 May 2018. Think carefully about your choices as the Top 10 order will be scored. Full details, rules and how to vote are online now here. 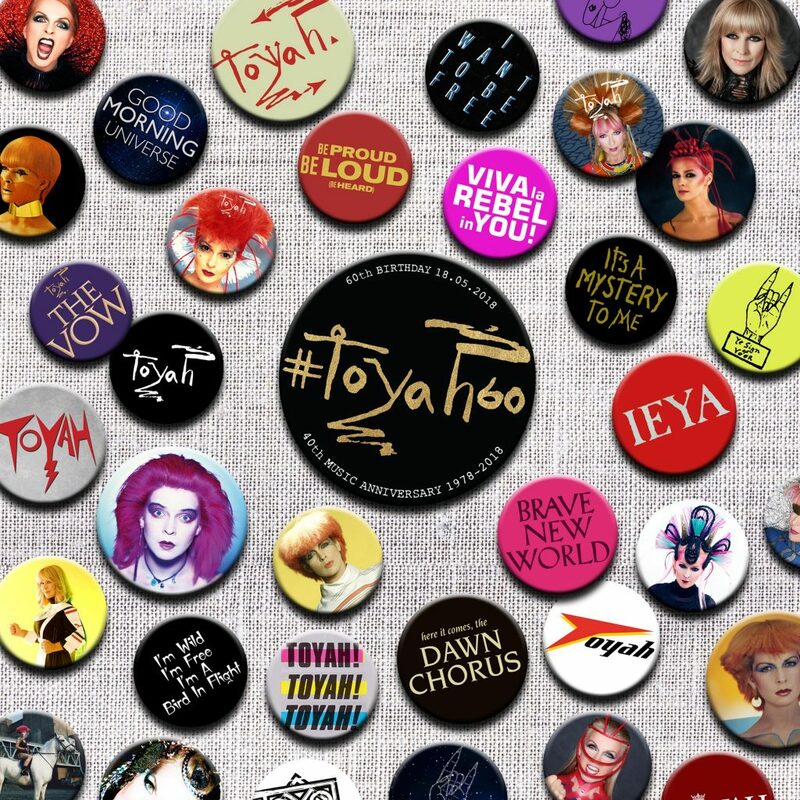 These votes will be calculated and revealed as part of the #Toyah60 Birthday celebrations.